The Voyager is born like a modular machine that has five evolutionary steps. 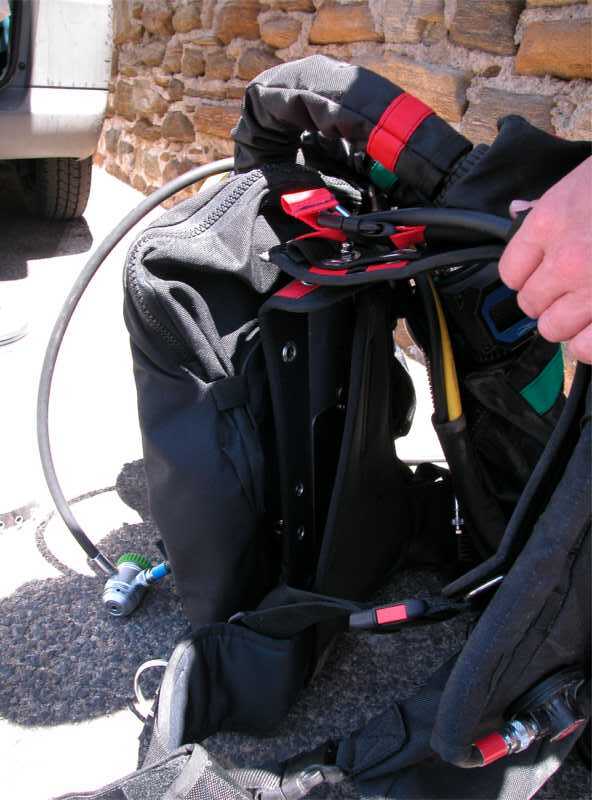 The philosophy of the distribution of the machine envisage that the diver, who already has a good base of knowledge's in the practical and theoretical diving techniques, can develop his abilities and his operating limits gradually, together with the development of the machine. 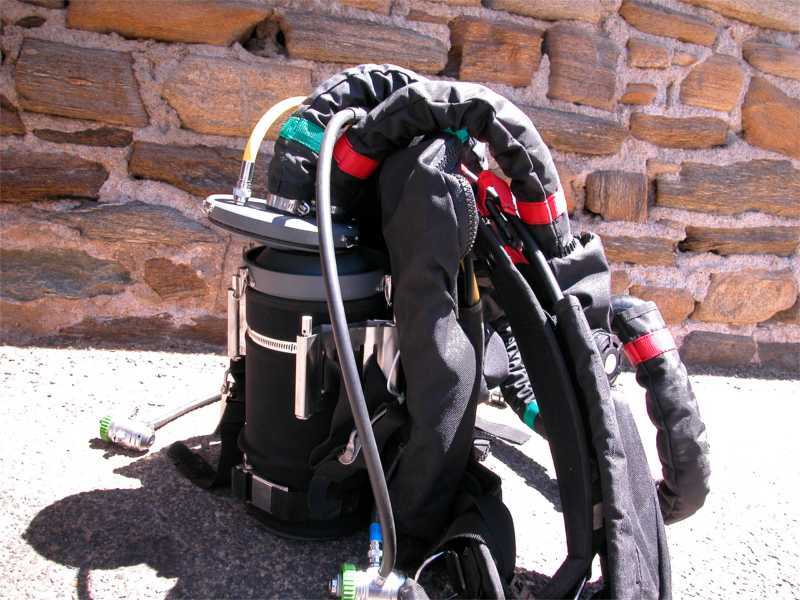 Every evolutionary step require an upgrade of the machine and a specific course for the corrected use of the Voyager I in the new configuration, beyond a series of dives carried out in the previous configuration, that form pre-requirement in order to approach the successive level. Pre-requirement for the level I: Licence of advanced type or according that level, a nitrox mixtures licence, and at least 50 recorded dives. Machine configuration: Semi-Closed Circuit with fixed fraction (mix) and constant flow adopted from the surface. Limit of maximum use: All nitrox fractions. Max 30 meters within the non decompression limits. 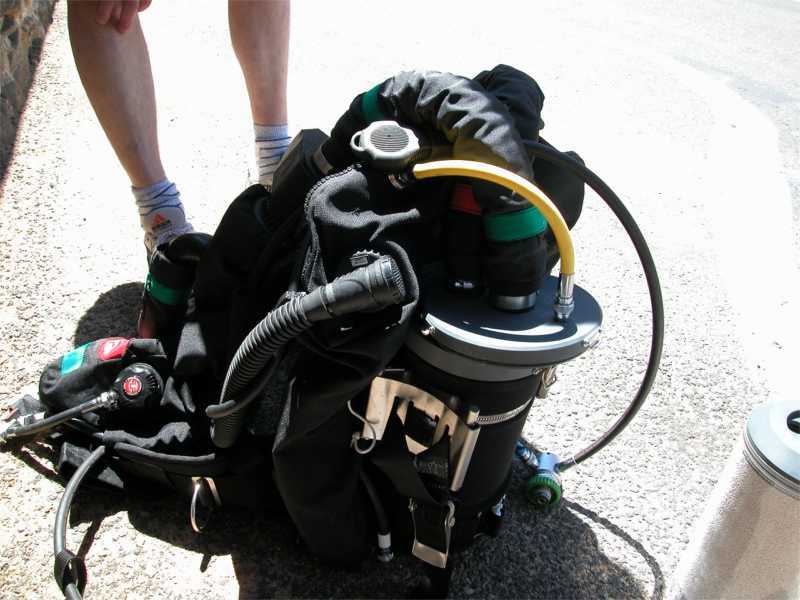 Pre-requirement for the level II: Level I qualification, with at least 40 recorded dives. Machine configuration: Semi-Closed Circuit with fixed fraction (mix), but with the possibility to vary the flow within the dive. 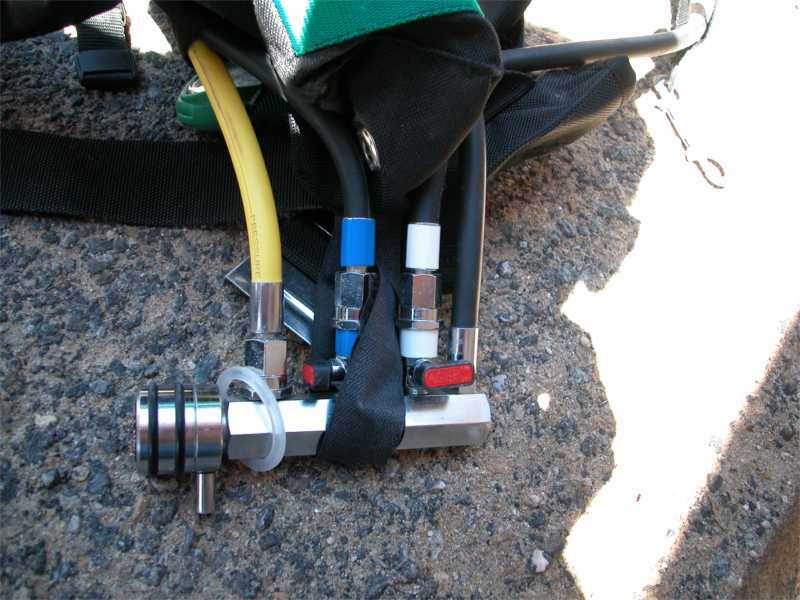 Electronic monitoring of the breathing gas trough an oxygen analyzer. Limit of maximum use: All nitrox fractions. Max 40 meters within the non decompression limits. Pre-requirement for the level III: Level II qualification, with at least 30 recorded dives. Machine configuration: Semi-Closed Circuit with various fractions (mix), and the possibility to vary the flow within the dive. 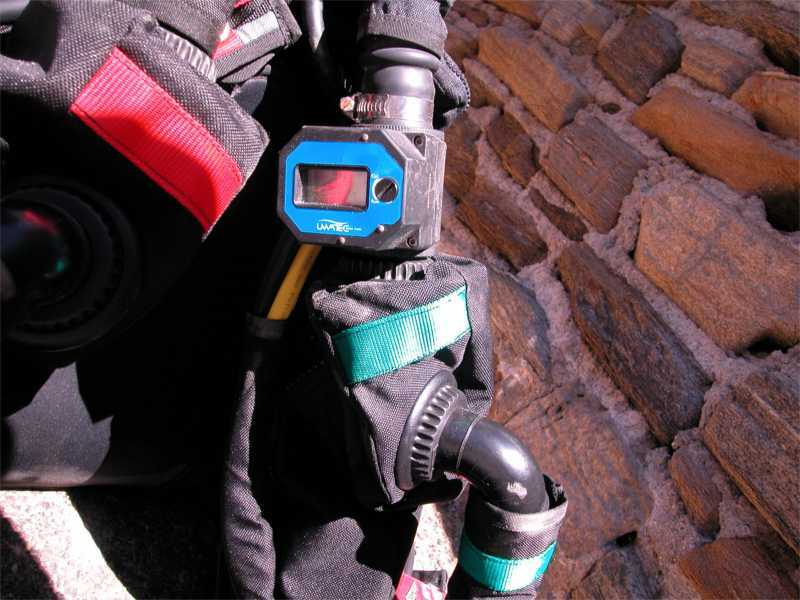 Electronic monitoring of the breathing gas. 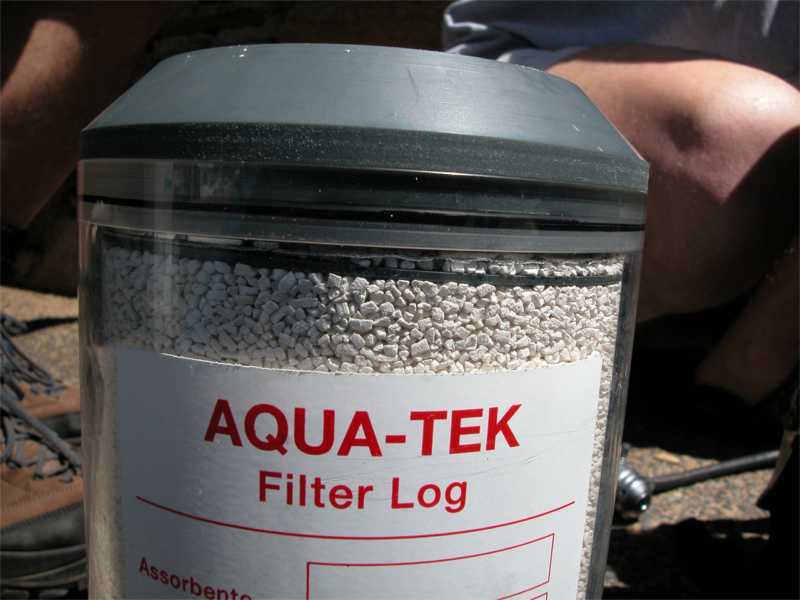 Limit of maximum use: max 50 meters with nitrogen-oxygen (nitrox) mixtures and max 100 meters with helium-oxygen mixtures. Dives with decompression controlled by a special computer. 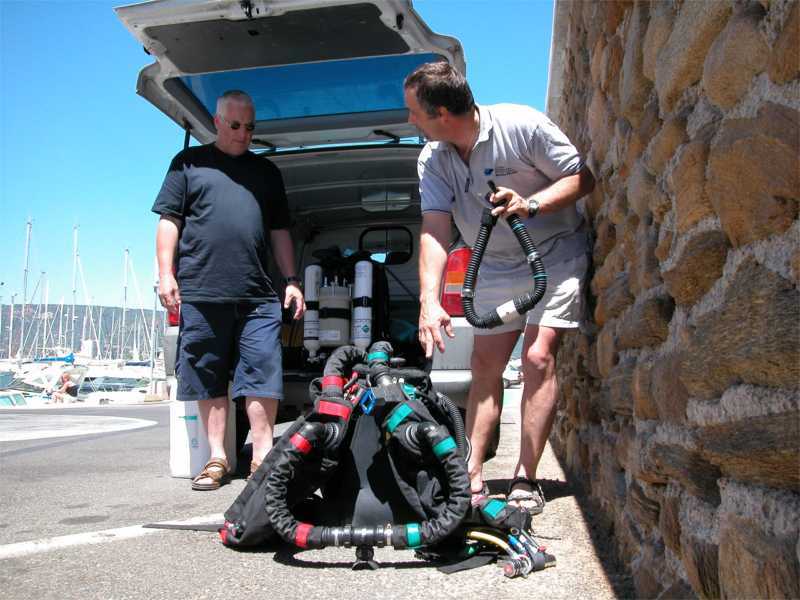 Pre-requirement for the level IV: Level III qualification, with at least recorded 30 dives. Machine configuration: Mechanic Closed-Circuit, with diluents: Air, Nitrox or Heliox. 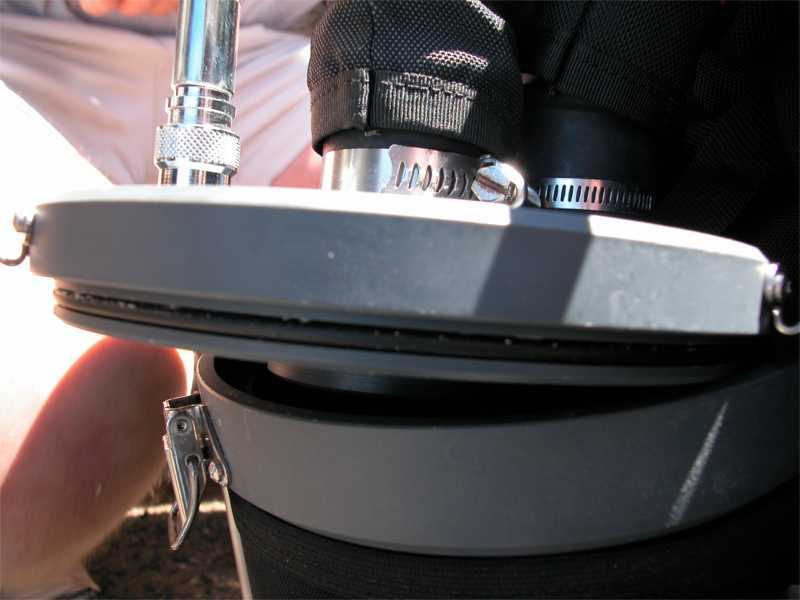 Injection of oxygen flow adjustable within the dive. 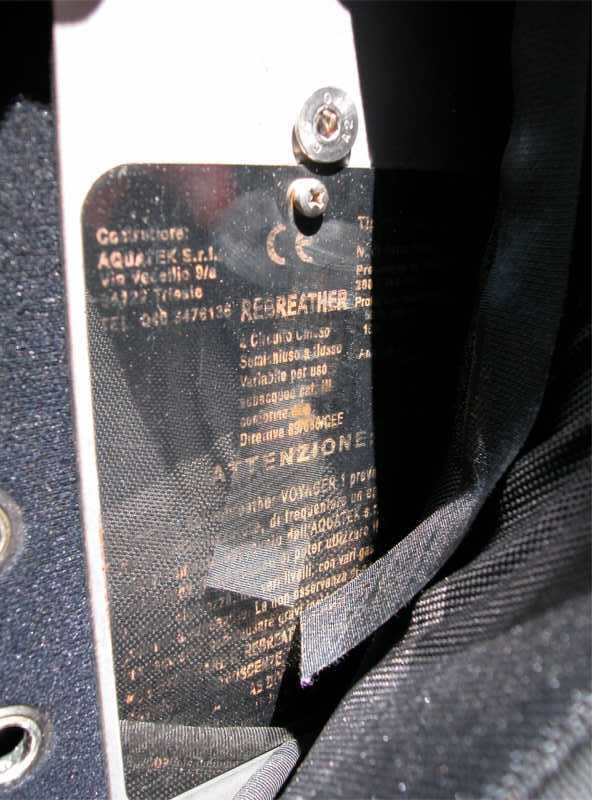 Control of the partial oxygen pressure (PPO2) in the breathing gas through the specials analyzer(s). Limit of maximum use: Max 50 meters with diluents composed of nitrogen-oxygen (nitrox) mixtures and max 150 meters with diluents composed of helium-oxygen mixtures. Dives with decompression controlled by a special computer. Pre-requirement for the level V: Level IV qualification, with at least 40 recorded dives. Machine configuration: Electronic Closed-Circuit selfmixing (? ), with diluents: Air, Nitrox and Heliox. Injection of oxygen trough a “solenoid” that is controlled by a computer that analyse the breathing mixture during the entire dive. Sensor detecting the CO2, sensor for temperature and humidity. Limit of maximum use: Max 50 meters with diluents composed of nitrogen-oxygen (nitrox) mixtures, and max 150 meters with diluents composed of helium-oxygen mixtures. Dives with decompression controlled from a computer. Each levels has is own specific course. 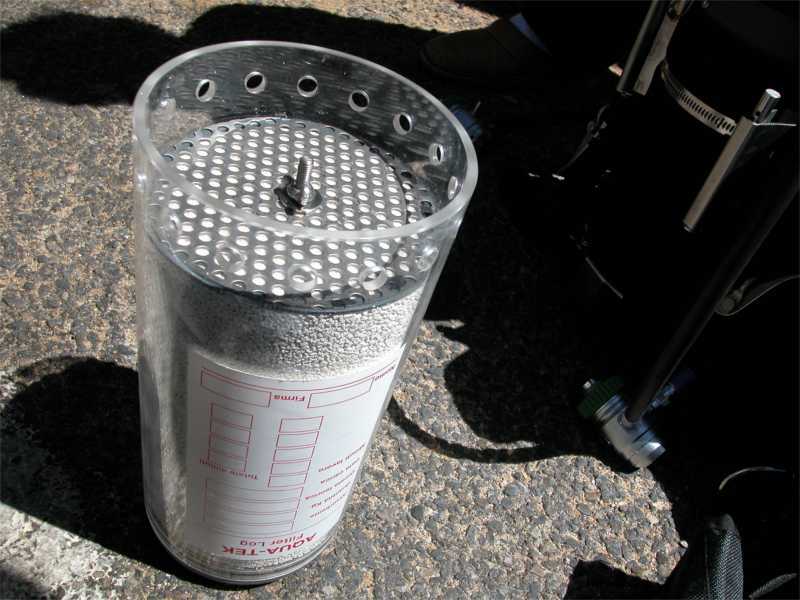 For the dives using a diluent containing helium or < 21% of O2, it s necessary to already have a qualification and the relative licence for that kind of diving procedures. The Voyager I, thanks to the regulator of flow that you can use underwater, allows you to modify the PPO2 at will, in function of the operation deep, however having only one fixed mixture. This operation will be controlled by a monitoring system of the PPO2 (optional for level 1, but obligatory from level 2 and next). The flow regulator is supplied with a block system, in case you want to use the machine in the traditional way: with a surface preset fixed flow. Counter lung: The bags are front positioned and protect with cordura housing, fixed to the harness with an easy assembly system, for an easy maintenance and cleaning. 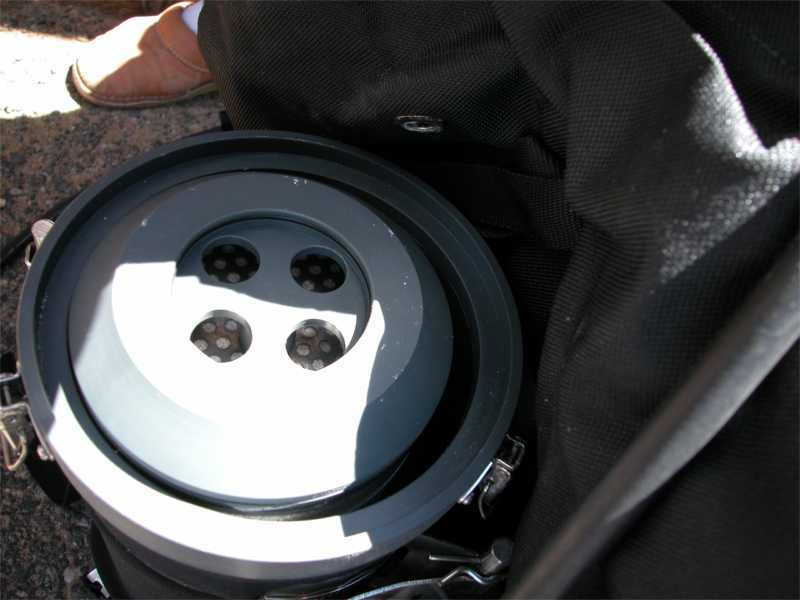 The by-pass valve is located on the left bag (clean gas), and the overpressure valve / water-drainage is located on the right bag (dirty gas). 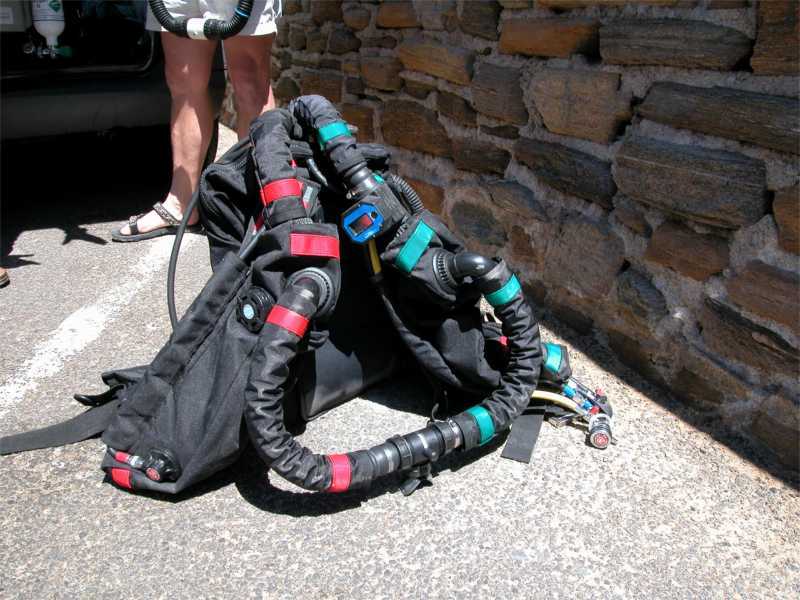 They are adjustable while diving, they have a capacity of 6.5 lt / each, and the employed materials are adapted to human respiration, and are easy to clean and disinfect. Hoses: The hoses have an inner diameter of 35 mm, and consequently all the passages have been determine to that proportion, this render the respiratory effort practically null. 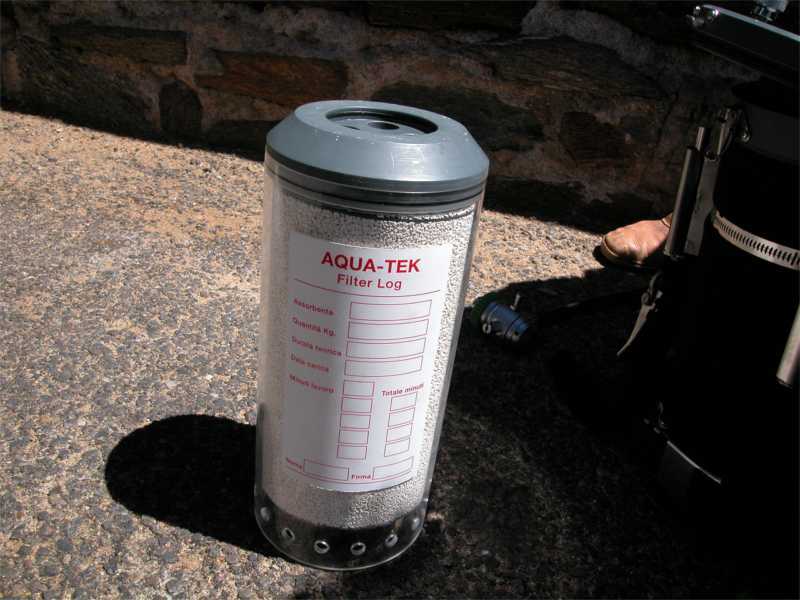 Tanks: The machine comes supplied with two 5 ltr tanks. Other volumes can be supplied at your request. First stages: Membrane balanced and oxygen compatible. 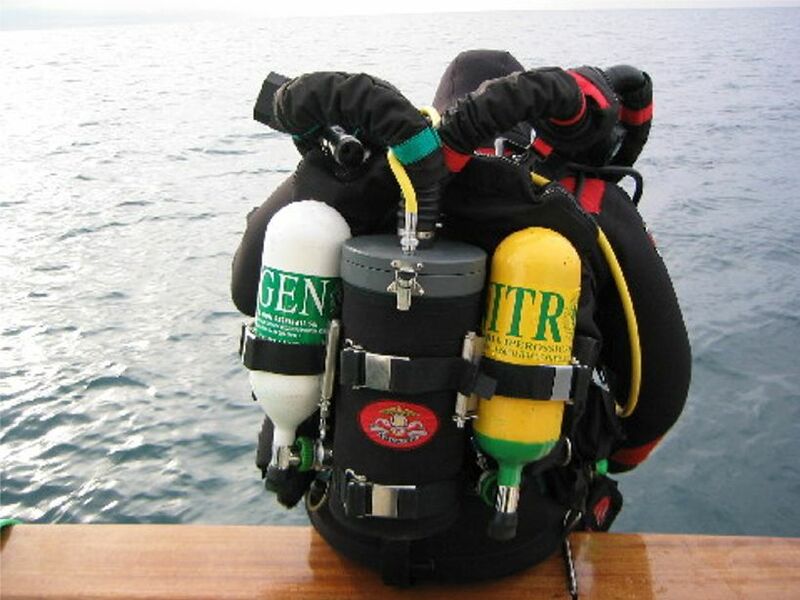 BCD: Technical type, with 10 ltr posterior bag. Accessories: The components are designed for the majority of sensors currently in the market. All the components use in the Voyager I are CE approved, the Voyager I has the standard CE homologation, and we are completing ulterior homologations for the employment of the Voyager I in working and military field. The Voyager comes supplied with a flow regulator for calibration, an ordinary kit for the maintenance, and the necessary books – manuals for the course, the maintenance and calibration of the Voyager.